The holiday season has come to a close. We made music and danced with the Torah last night to celebrate Simchat Torah, and tonight we were back to eating at our dining room table, instead of in the sukkah. In some ways, I celebrated more thoroughly than I ever have before...a full observance of Elul, followed by two days of Rosh Hashanah, a deep Yom Kippur, and then for the first time, a real observance of Sukkot, ending with the always-uplifting Simchat Torah. As much as I loved all the celebrations and observances, I am ready to settle into more of a routine. Sunday was the first day of autumn, but for me it feels like tomorrow will be the first day of the new season. Yesterday morning we ate our last peach and James reported that he couldn't find any peaches (my favorite) for sale at the farmer's market. My toddler is busy collecting leaves in our front yard, treasuring each one, and I just completed my last regular-scheduled week at work (I don't go to my job on Fridays). Starting next week, I will have reduced hours and by December, I'll be on my full sabbatical schedule -- just going to work one day a week. 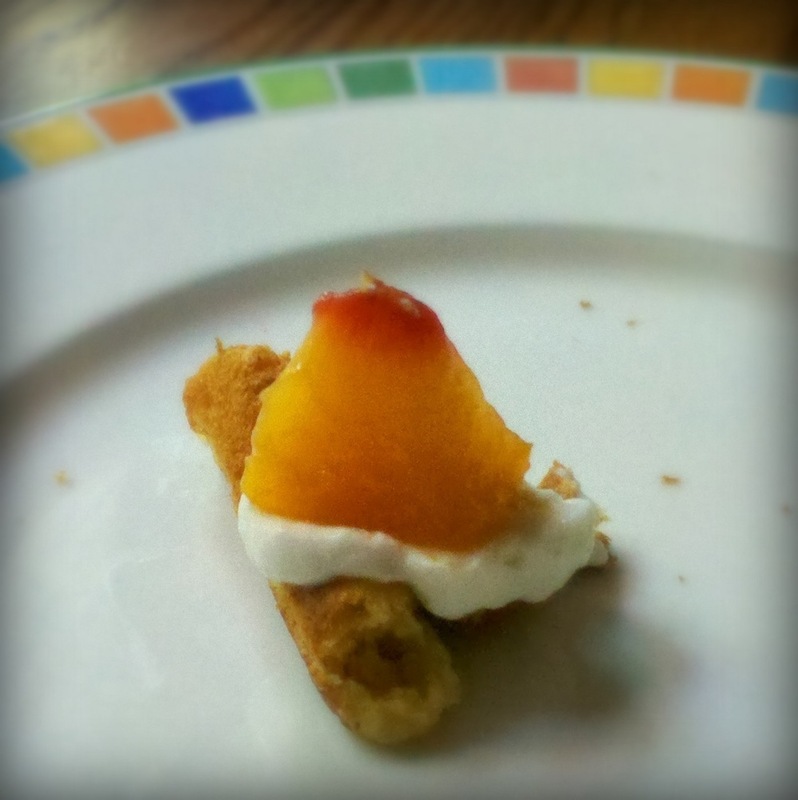 The last bite of this year's peaches. As with any change, I am excited, nervous, and a little wistful. How could it be that my little one is already two years old, no longer a baby? What does it mean to let go of many of my responsibilities at my job? My work-life balance was good last year. Will I be able to come to a new balance with the sabbatical? Are my expectations too high for this sabbatical? Am I brave enough to explore some of what I have planned to delve into? And to share it? Just a few of the questions swirling around for me this evening. What does the change of season bring up for you?